From the very off we are transformed into a world of mellow tunes, tranquil compositions and angelic vocalizations. I was initially transfixed by the opening two tracks, a gentle piano soothes us on “Little Calf,” and an added guitar layers a realm of comfort and calm on “A Turtle Song.” However, my favorite moment of bliss came from the long form composition “Existence,” which in my view is one of the best slices of ambient music I have heard in years. Henrik Hytteballe has a talent that is rare, and a skill set bathed in genius bringing the listener some of the most beautiful and tranquil music ever. Tracks like the inspiringly moving “The Bright Side,” and the warm and relaxation enthused paradise manifested by the lush tones of pieces like “Great Barrier Reef” are but two stand-out examples of this. 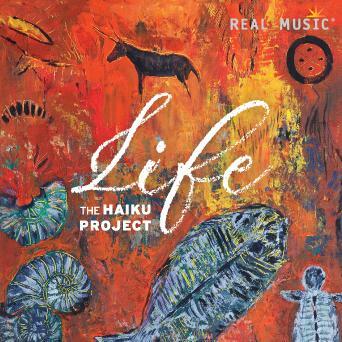 Life by The Haiku Project is yet another notch of brilliance in the headboard of master pieces by the artist, and in my view is an album you could leave on all day and lose yourself in with ease. This is a release easy to recommend; it’s jam packed with pristine performances and utterly exceptional compositions, that have all been created by a musician who is clearly in touch with his musical muse.